Service for optimizing SEO helps your website to be searched and highly ranked by search engines. Service for optimizing SEO is a very essential part for businesses when they promote information, products and services on website. Optimize Onpage: our professional staff optimize your web source codes to satisfy strict criteria for search engines. We should have a general view on optimizing SEO onpage. Title Web: Title is one of the most important factors for search engines to find out your webpage. When you have a good title for your articles, it means that you bring your web information closed to customers when your web is ranked on top searching site. The title should be short, coherent, concise and easily reminiscent for customers to search, and it also contains general content of the article on website. Keyword: Mentioned through keywords in article, number of the keywords is best around 4 -5 words per article. Description: Description Tab is especially important for your website. 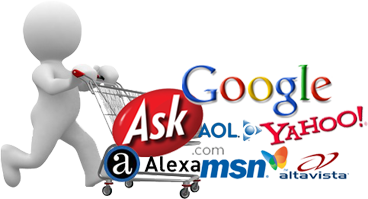 This tab helps your website to be highly ranked by search engines. This tab often fluctuates under 40 words, describes general information of your current website. Alt tag: This is an important tag for images added in your website. This tag helps search engines identify what the images in webpage are about, then it also help to increase your web rankings. Url friendly: Optimize web Link for search engines easily to search your website, which is very necessary for your website. Article Format: Presenting your article coherently, clearly and understandably not only interest in customers but also serve best for search engines to search information. Search engines highly rank articles/posts which are presented scientifically, use tabs b, i, h1, h2, h3, h4, h5, h6 appropriately. Do not abuse tabs: Apart from the above factors, you should not abuse too much on using keywords and descriptions unreasonably that lead your website to searching relegation and cause losses in business. You have to make sure that your website has been optimized onpage best and it is best for content. Therefore, if you have not optimized onpage while you optimize SEO Offpage, it can cause serious damage for your web. You are definitely tired from overcoming these consequences in a long time. Our staff will promote your website on forums and social networks. Your website is tied back links to many reputable websites which are our customers. This is a long-term and strategic job which needs a lot of time and effort. Stimulate your company to get good business achievements in a long time with optimizing SEO for your website. Please contact us immediately whenever you have an inquiry.